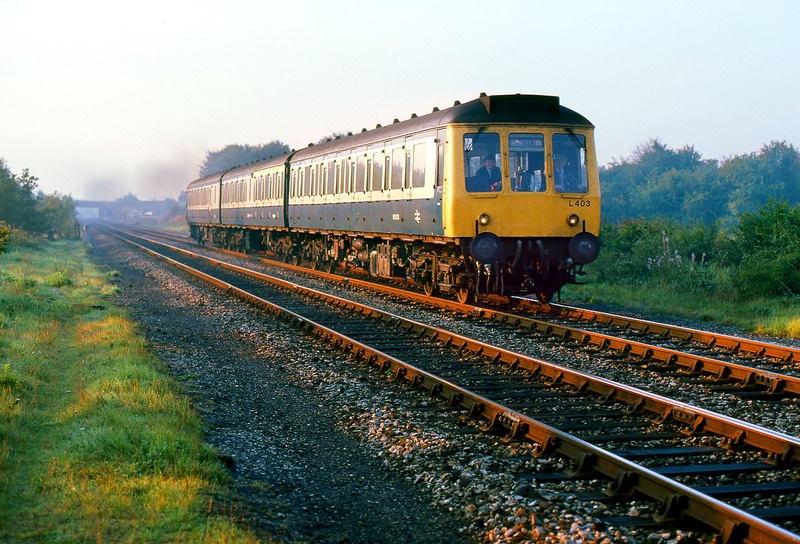 Shortly after sunrise on 10 September 1986, L403 (51378, 59488 & 51336) accelerates away from Kingham station with the 2B50 06:04 Reading to Worcester Foregate Street Network SouthEast service. I particularly like the way the very low sun is tinted the track red. Photo taken from a public footpath crossing. Unfortunately there is no way you could take a picture here this early in the morning nowadays, as trees now shade the line.